​Lauren Henderson is a jazz, Latin jazz, soul and fusion vocalist. A recording artist and composer from Massachusetts, Henderson's Caribbean and Latin Heritage are central themes in her original music. Currently based in both Miami and New York, Lauren performs standards and original music. She has appeared at the Blue Note, Birdland, Joe’s Pub, Casa del Jazz (Italia), Regattabar, WGBH, and various national and international venues. Henderson has toured the United States, Germany, Russia, Italy, Spain, Mexico and various countries. Lauren's eclectic vocal influences spread across genres. Her Afro-Latin influence aids her in producing a distinct yet versatile sound. Lauren's diverse musical background is rooted in jazz and has been influenced by artists like Shirley Horn, Nancy Wilson, Anita O’Day, Chris Connor, Julie London, Sarah Vaughan, Astrud Gilberto, Omara Portuondo, and many others. Founder and CEO of Brontosaurus Records, Lauren Henderson is pursuing her MBA at Brown University. Having earned college degrees in both Music and Hispanic Studies, at Wheaton College (MA), Lauren continues to combine her love of music and culture. While living in Puebla, México she studied the traditional music of the Yucatán and popular music throughout the country at Benemérita Universidad Autónoma de Puebla. Through her international piano and voice studies, she worked on developing her musicianship. In Córdoba, España she studied flamenco and its similarities to jazz at La Universidad de Córdoba. An avid nuevo-flamenco listener, Lauren often quotes popular sounds of various countries while nurturing the roots of classic forms. Henderson began study piano at an early age. She grew up singing in church and school choirs, as well as listening to jazz records her parents and grandparents played in the house. Timid as a young musician, she was always reluctant to sing solos, until given a gentle push by mentors shortly before heading to Wheaton College (MA) to receive her Bachelor of Arts. 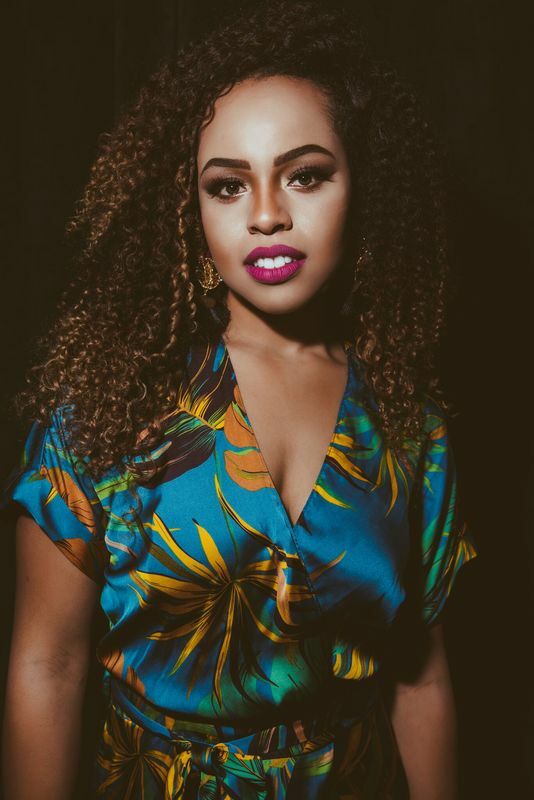 At Wheaton, she discovered her voice, becoming the Musical Director of her singing group, a member of Jazz Band, studying classical voice and musical theatre, as well as finding inspiration in her professors and master classes with artists like Paquito D’Rivera​ and Take6. In 2011 she released her debut album, Lauren Henderson. It was recorded almost immediately upon her arrival in New York. Henderson recorded with close friend and musical partner, Sullivan Fortner (piano), along with Ben Leifer (bass), and Jesse Simpson (drums). The original intent was to create a demo to aid in her pursuit of a career in New York’s competitive jazz scene. The quartet recorded classics by Duke Ellington, Hoagy Carmichael, Antonio Carlos Jobim, and Rogers and Hart. After the work was shared with colleagues and fellow musicians, it was reviewed by various publications, including DownBeat Magazine, JazzTimes and All About Jazz. It is available on iTunes, Amazon, CDBaby, and is accessible as a Pandora.com station. She has had the opportunity to study with legendary and influential musicians like Barry Harris at the Barry Harris Workshop. Lauren has had the opportunity to study and perform with Grammy-Nominated Vocalist, Jane Monheit, and Grammy-Nominated Pianist, Michael Kanan. Her most recent release, A La Madrugada, features Sullivan Fortner on piano (Impulse - Universal Music Group Artist, Roy Hargrove Quintet and Winner of the Cole Porter American Pianist Association 2015 Jazz Competition), Ameen Saleem on bass (Roy Hargrove Quintet), Louis Fouche on alto saxophone (Steven Colbert, Eddie Palmieri, Christian Scott), Jonathan Powell on trumpet (Eddie Palmieri Afro-Caribbean Sextet, Arturo O'Farrill, voted "Best Latin Jazz Trumpeter" 2009 by Latin Jazz Corner), Riley Mulherkar on trumpet (Member of Juilliard, named "Rising Jazz Artist" by Wynton Marsalis), and Jeremy Bean Clemmons on drums and percussion (Award Winning Producer and prior member of Grammy Nominated, Andy Bey's Quartet, Member of Soul Understated). The recording has been featured and reviewed in various publications. It is available on iTunes, Amazon, CDBaby, Spotify and various online outlets. A La Madrugada has landed in the JazzWeek Top 100 for over 3 weeks. In March of 2018, Henderson released ÁRMAME under the direction of Grammy-Nominated Producer and Emmy-Winner, Mark Ruffin! This album will features Terri Lyne Carrington, Josh Evans, Godwin Louis, Sullivan Fortner, Eric Wheeler, Nick Tannura, Nanny Assis, and Joe Saylor ​and has charted in the JazzWeek Top 40 since its release.